Understanding Tolstoy recreates Tolstoy’s lifelong artistic and spiritual journey, taking readers to the core of the writer’s world through nuanced close readings of his major novels and novellas. Andrew D. Kaufman’s broad and accessible analysis of Tolstoy’s work speaks to the ways in which Tolstoy, despite living in a manner far removed from the experiences of most modern-day Americans, is still applicable and contemporary. From a reconstruction of Olenin’s search for truth in The Cossacks to an illuminating analysis of Hadji-Murat’s tragic last stand, Understanding Tolstoy brings to life the fascinating parallels between Tolstoy’s personal quest and his characters’ journeys. Whether writing about the ballrooms and battlefields of War and Peace or the spectrum of sexual and spiritual attachments in Anna Karenina, Tolstoy emerges as a vital, searching artist who continually grows and surprises us, yet is driven by a single, unchanging belief in universal human truths. 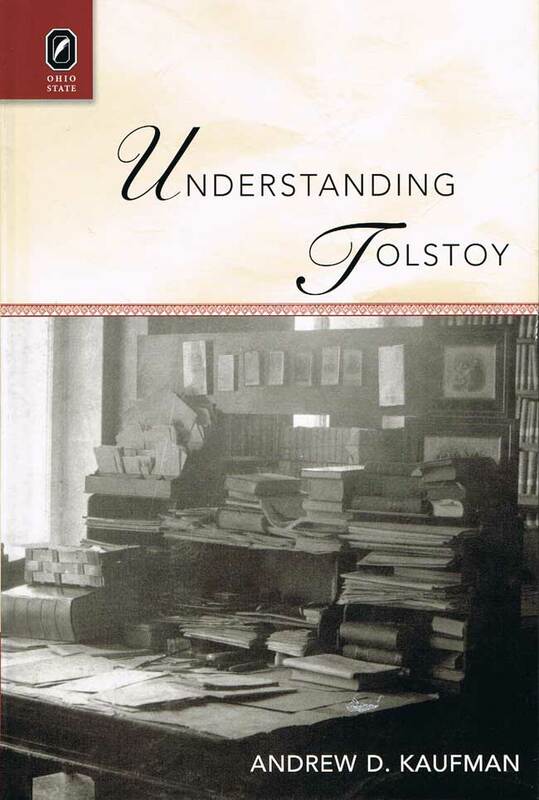 Understanding Tolstoy is a treasure trove of critical and philosophical insights that will appeal to Tolstoy aficionados of all kinds, from advanced scholars to undergraduate students. The book offers an eminently readable guide to those entering Tolstoy’s world for the first time or the tenth, and it invites them to grapple alongside the writer and his characters with the most urgent existential questions of our time, and all times. —Pyotr Palievsky, Senior Editor of The Complete Collected Works of L.N. Tolstoy, published by the Russian Academy of Sciences; Assistant Director of The Institute of World Literature of the Russian Academy of Sciences.